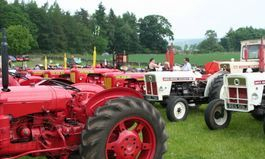 Doncaster, Meltham & Racine (USA) are the factories where the brands of tractor and machinery that we aim to raise the profile of and keep alive the excellent brands of agricultural machinery – Case, David Brown, David Brown Case, Case International, International Harvester and McCormick International. The Club is currently being organised by an “Interim Committee” until after the Club launch when a meeting will be arranged to enable new Members to put themselves forward for the future committee. 1. To raise the profile of these machines, Case, DB, DB Case etc. 2. To make all events educational, social and friendly occasions. 3. All activities to be held in the interest of Members and the Club. 4. Open to any age and person throughout the world. We look forward to seeing you around the countryside on our travels. If you have an event that needs supporting please let us know. 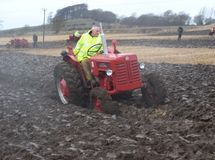 All members of the DMR Tractor & Machinery Club are covered for Public Liability Insurance purposes by the Royal Sun Alliance Insurance Company. A link to any posts on our news page automatically appear on our Facebook page and Twitter account. If you click like on our Facebook page any news posted their will be displayed on the newsfeed of your Facebook page. If you Follow us on Twitter, as well as any news posted on our website being automatically tweeted also any direct posts we make on our Facebook page will also be tweeted. If you have a twitter account how you follow us can be configured to have any of our tweets sent by text message directly to your mobile phone, so you won't miss the latest club news.